4 bedroom flat for sale in York Mansions, Battersea, SW11 | John D Wood & Co.
At in excess of 2,000 square feet this is one of the largest flats available on Prince of Wales Drive. Situated on the second floor of the only period mansion block benefitting from a lift, the property has views towards Battersea Park and unusually a southerly and westerly aspect, which gives an abundance of light throughout. The four bedrooms and three bathrooms (two of which are ensuite) provide ample accommodation. Furthermore, there is a double reception room and dining area which is perfect for entertaining as well as for family living. Further benefits include an onsite porter. 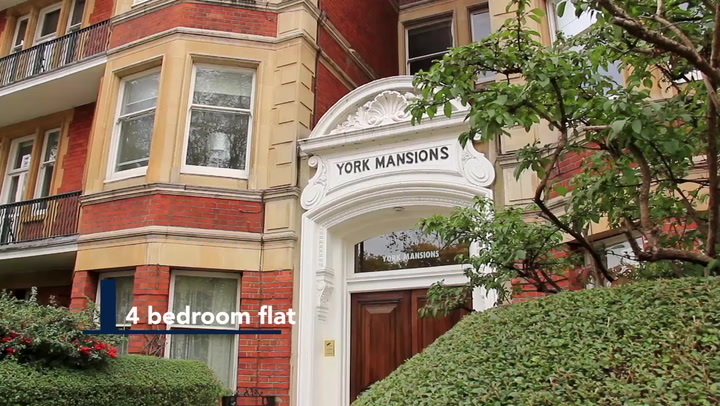 York Mansions is a substantial Victorian block that is located on Prince of Wales Drive opposite Battersea Park. Being set at the eastern end of the drive, the flat is well located for Battersea Park railway station with its direct access to central London as well as Chelsea Bridge.